So last week, we reached the end of The Brown Flag Challenge, which means I've got to go through and declare a winner! We looked at a variety of flags from a variety of places and it was honestly kind of a tough decision- but, eventually, one flag stood tall above all the rest. So, without further ado, let's start the proceedings! 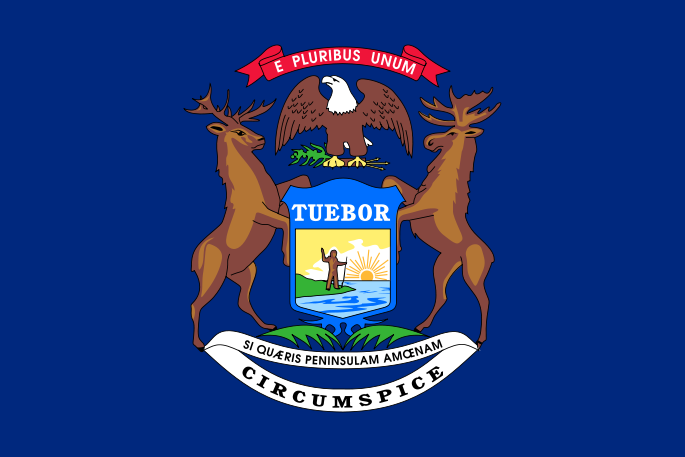 I pledge allegiance to the flag of Michigan, and to the state for which it stands, two beautiful peninsulas, united by a bridge of steel, where equal opportunity and justice to all is our ideal. Seriously, Michiganders- help me out. Is this an actual thing? Hey, it's Canada's 150th Birthday this year! And guess where Canada began? 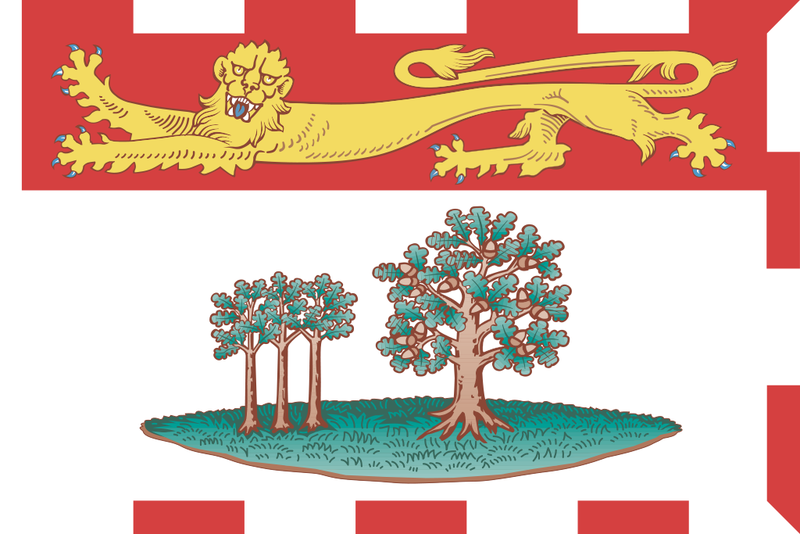 That's right- even though they didn't join right away, Prince Edward Island sneaks in for the Bronze Medal in our challenge. This flag isn't as busy as a lot of other provincial flags- so it gets points for being relatively simple- and the symbolism is not convoluted and pretty easy to grasp. Alas, Prince Edward Island didn't bring a whole lot of brown to the party. Big historical points for being named after a pretty cool Edward and being the Cradle of Confederation- though it'd be interesting to consider what the world would have been like if Prince Edward Island's flirtation with the United States had lead to something more. Would it be called Prince Edward Island? The mind boggles. Probably one of the coolest state flags out there, the flag of California sneaks in for a silver medal and 2nd in the challenge. 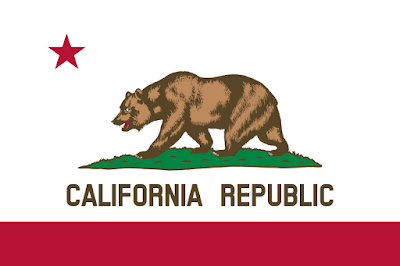 During my usual dive into figuring out what's what with this flag, I stumbled across something that's worth investigating more- a significant gap between California's statehood (1848) and the adoption of it's flag (1911). Iowa's flag has a similar gap- so at some point, I'm going to have to sit down and do some homework on this issue. Did state flags all come in around the start of the 20th Century? Did some state adopt a flag right away when they achieved statehood? Inquiring minds want to know! And I'm going to find out. Cali gets points for being an iconic design with historical significance, but apart from the bear, there's not a lot of brown here. Hence, the Silver Medal. 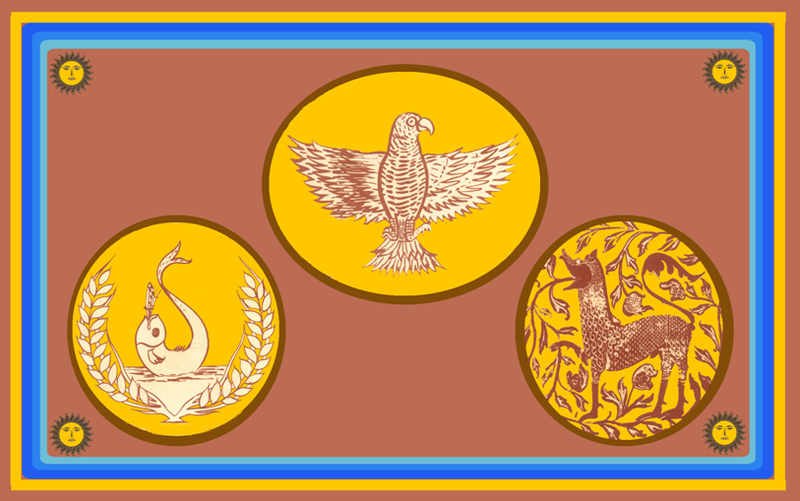 We spent way way too much time in Sri Lanka over the course of the BFC, but one flag took the cake. The Eastern Province of Sri Lanka is our winner and to be honest, it's not even that close in my book. There's tons of brown, brown, brown everywhere- and the design is clean and the symbolism easy- one circle for each district of the province. This is the brownest of all of our brown flags ad it looks cool as hell. The ultimate metric of our challenge: would I buy this flag? The answer for this flag is a resounding yes. It might be a little obscure, as flags go, but it looks cool as hell! Next week, we'll be back to our regularly scheduled programming, but in the meantime, keep your flags flying- FREAK or otherwise! Can We Talk About Immigration?